At the turn of the century, Oxford was described as a bucolic, southern town; filled with some of some of the most educated and sophisticated residents of the south. For my purposes, it's notable that this description extended to the black residents of Oxford as well. 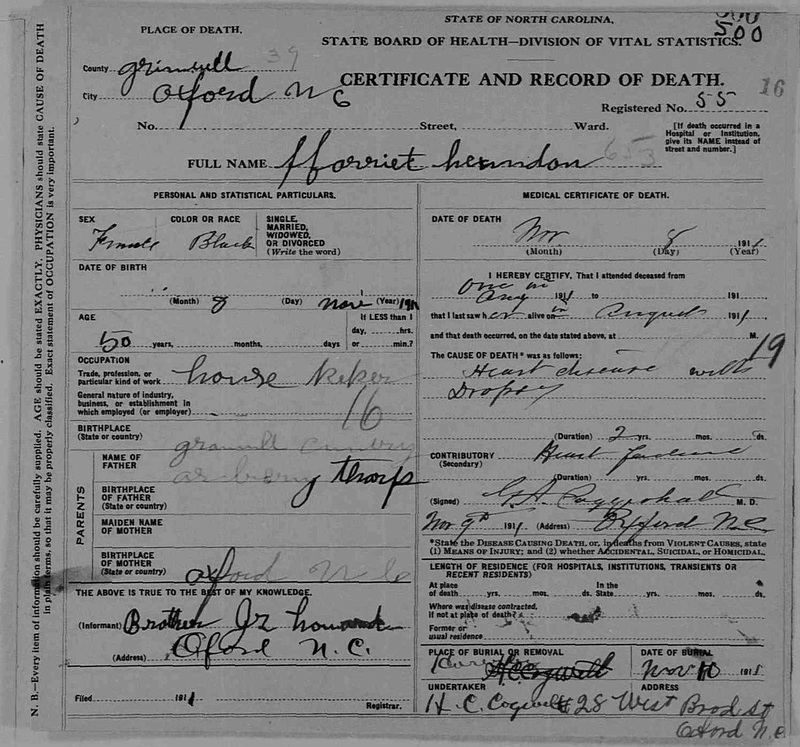 As early as 1900, my great-great grandmother, Harriett Herndon (18671857-1911(?)) was living in Oxford with her three daughters - Florence (wife of Garfield Cross), Julia and Alice. 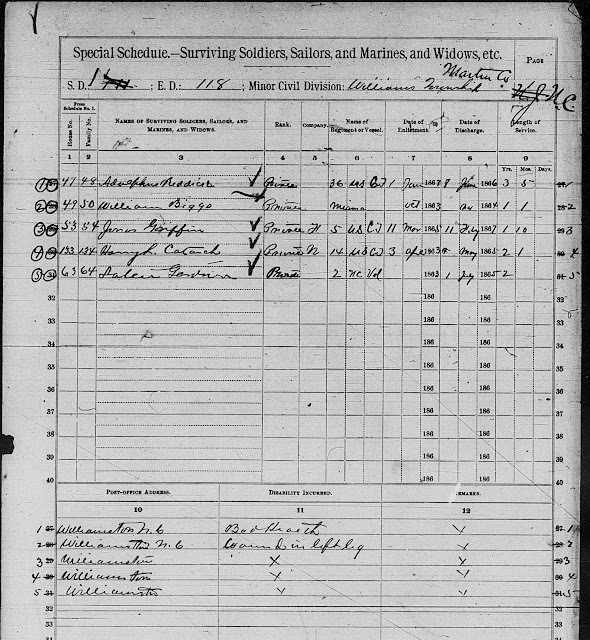 I've found the four Herndon women living together in the 1900 and 1910 census. In each census, each of the women are listed as single. In 1900, they lived on Colledge or College Street. Their neighbors were the family of Joseph F. Meadows (wife Susa J., daughter Marie, boarder Kate) and the family of David A. Moore (wife Martha G., sons Baldy S. and Robert D., daughters Bessie J., Mamie H. and Alice C.). In 1910, I found them living on Clement Avenue. Their neighbors were the family of Nannie Lassiter (daughter Annie and niece Lucy Cook) and the family of Richmond Taylor (wife Mary, daughters Black, Willie, Scocia (?) and Lillian, son Leonard). One of the oldest and wealthiest families in Oxford shared the surname Herndon -- Rhodes Herndon, a large plantation owner in Oxford. There was another black (mulatto) Harriet Herndon (b. abt 1845) who lived in Oxford at the same time as my great great grandmother. Interestingly, she also was single and head of her household. Her children were named Rhodes (abt 1864), Emily (abt 1866), Albert (abt 1868), Bettie (1870), Halle (abt 1873), William (abt 1876), and Lula B. (abt 1879). In searching for anything about the town of Oxford in the early 1900s, I stumbled across the Oral Histories of the American South project. They have collected and put on-line the 1994 interviews, conducted by James Eddie McCoy, of older residents of Oxford, NC. Quite amazingly, one of the residents interviewed was one of my great great grandmother's neighbors in 1910! Her name was Lillian Taylor Lyons. While Mrs. Lyons provides great background and insight into the town and time when my great great grandmother lived there, unfortunately none of my Herndon women are mentioned. 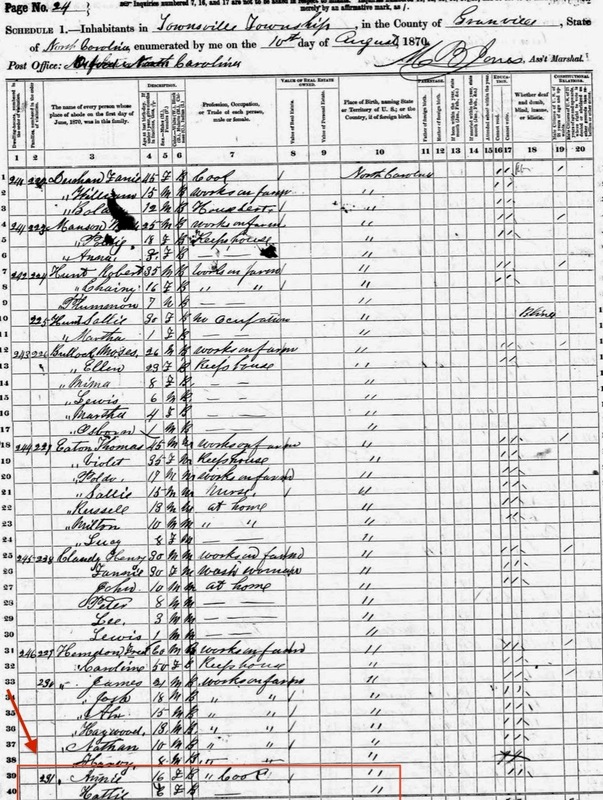 I did find a Hattie Herndon ["Hattie" is often a nickname for Harriet], age 6 [possibly 3 years older than my Harriett], in the 1870 census in Townesville, NC (still Granville County and Oxford as the P.O. 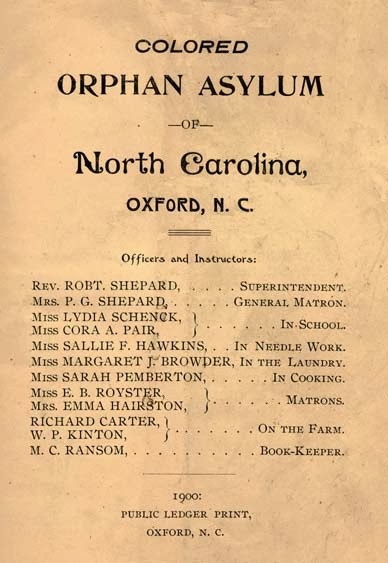 ), living (possibly) with Annie Herndon (age 16), who both seem to be living in the household, or next door to, a black family headed by Fred (age 60) and Caroline (age 50) Herndon. Unfortunately, I can't find anyone by the name of Harriett or Hattie in the 1880 census, living in Oxford or Granville County. Is that my Harriett's death certificate? If it is, what happened to her 3 daughters right after she died? They would have been about 21, 17 and 14. Where did Harriett come from? Who were her parents? Who fathered her 3 daughters? Where was Harriett in 1880? And even more questions I haven't thought to ask. Very interesting post. You've done a great job of laying out both what you know, your suppositions, and what you would like to know. Perhaps someone will help you solve some of your mysteries. I have some DNA cousins with ties to Oxford and Granville County, so I will follow your posts with great interest. It looks like your on the right track. Your research skills come through clearly. Great post. Nice research, nicely done, I hope you can find more information oh Harriet. Great Job....It was laid out Wonderfully. I hope to get good at this one day. Good example. I hope you get a response. Loved the questions. Thanks True! You already are good at this. You're out there, telling your ancestors stories! What a fascinating story about Harriet and her three daughters. You did a great job telling what you knew of their story and it was riveting. I especially liked how you explained in detail your research steps and the tool you used to piece together their story . You did some great detective work. I really do hope you find more information on Harriet and solve this mystery. Me too. It showed two after I hit the publish tab. After what happened yesterday, I just left it alone. 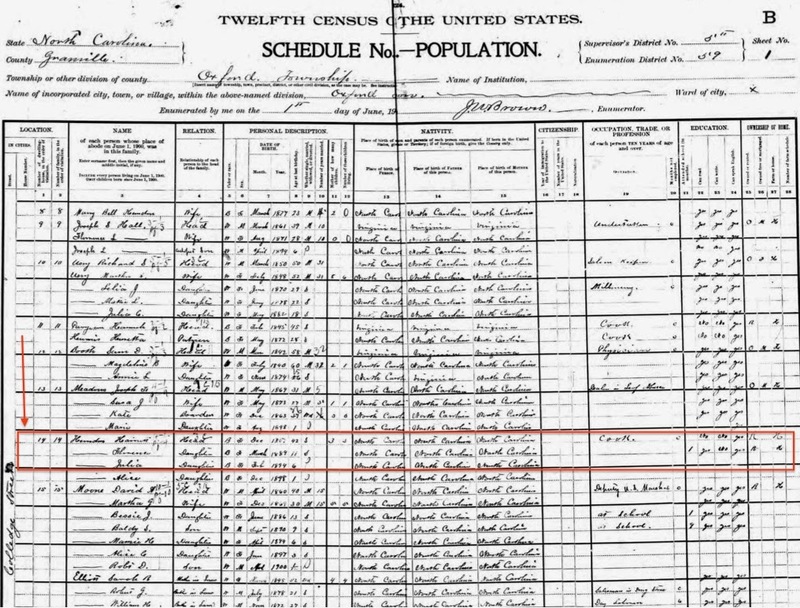 Vance County was formed from Granville in 1881 could this affect the 1880 census? 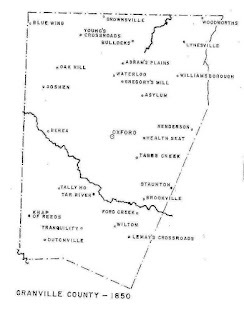 Townesville would then be in Vance County. Hello! I am so happy to have found this post. The other Hariet you refer to is my great great grandmother. Her son William is my great grandfather. I have been trying to piece together the family history there and it has been tough. This post helps put a lot of my info in context. Thank you! Thanks so much for stopping by my blog! I would love to hear more about your Harriett, in the hopes that it might lead me to more information about my Harriett! I'm happy to share any information I uncover, as well. My email is my blog name (without the www or com) at Gmail. The info I have gathered on Harriett Herndon, (1847- ) is, She is the Daughter of Rhodes Nash Herndon, a rich white land and slave owner who was born in 1795 in Orange Co., N.C. There is no record of who the mother was. She was no doubt a slave. Harriett married a man named Alex Herndon(1835- ) (probably a slave from the same plantation who took on his master's last name). They had 7 children: Rhodes(1865- ); Emily(1868- ); Albert(1872- ); Hallie Pearl(1876-1977), she was married to my great grandmother's brother, Phillip Prince Cheek; William(1878-1946); Lula(1879- ); and Henry(1882- ). Nia, thats awesome!Rhodes Nash Herndon (1795-1873) owned my 2x great grand mother, Bet Young (1838-1901). When Rhodes died his ypunger, half brother, Henry Clay Herndon (1827-1911, my 2x great grandfather) bought Bet, their first born son Warren, and what were mostly all her children. I always wondered if Rhodes had children. WOW!